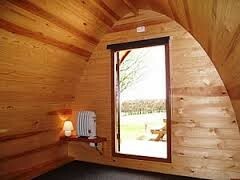 The Family and Standard Pods are fully insulated and have electric heating / fan , and electric lighting. The Family Pods have an Adult Bunk Bed for 2 adults and a Child’s Bunk Bed for 2 children. The Standard Pods all have an Adult Bunk Bed for 2 persons. The Bunk Beds cannot be removed. The Pods are fully carpeted. Cooking outside only. Picnic Table available. The internal dimensions are :- Family Pod 2.66mtr x 3.52 mtr. Standard Pod 2.32mtr x 2.70mtr. A non refundable deposit equal to the relevant 1 night rate is payable at the time of booking and the balance on arrival. For bookings of 2 or more Pods for the same dates, the balance will be payable 28 days prior to arrival. 1 Night price is only applicable for a midweek booking between Monday to Thursday inclusive OR a last minute weekend booking. Minimum weekend booking is normally for 2 nights. All Bank Holiday Bookings are for a minimum of 3 nights and are charged @ High Season Rates. The booking of the Pods is from 3pm on the day of arrival until 11.30 am on the day of departure. 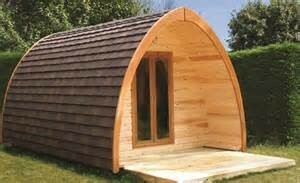 The Mega Pod is a fully insulated and will sleep 4 persons. The interior contains a double bed, a double sofa bed, a table and 4 chairs, microwave oven, refrigerator, kettle and toaster. A TV is fitted and WiFi is available on site. There is also a heater/fan and electric lighting. In addition there is a decking area with garden table and chairs for outdoor dining or just lounging. Note:- Some Mega Pods are advertised with Shower and Kitchen Sink facilities. 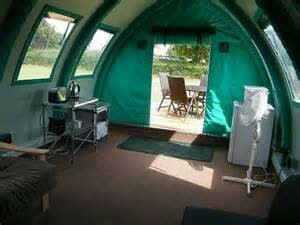 Our Mega Pod does not have these facilities as they are already available on site. A non refundable deposit of £ 80 is payable when booking, balance payable on arrival. 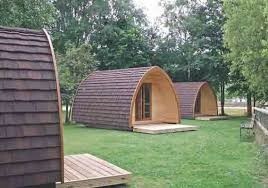 For group bookings of Pods for the same dates, the balance will be payable 28 days prior to arrival. 1 Night price is only applicable for a last minute booking OR a midweek booking between Monday to Thursday inclusive. Minimum Weekend booking is normally 2 nights. All Bank Holidays are for a minimum of 3 nights. The booking of the Mega Pod is from 3pm on the day of arrival until 11.30 am on the day of departure. 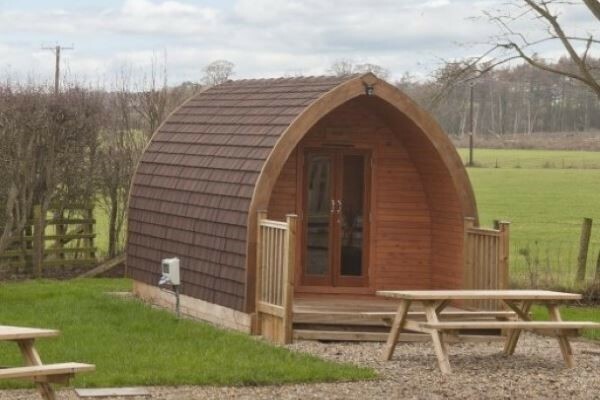 The Maxi Pod is fully insulated and sleeps up to 6 persons. The interior contains a double bed, a double sofa bed, an adult bunk bed, 4 chairs and table, microwave oven, refrigerator, kettle and toaster. Note:- Some Maxi Pods are advertised with Shower and Kitchen Sink facilities. 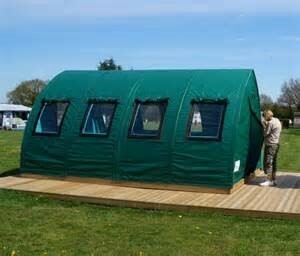 Our Maxi Pod does not have these facilities as they are already available on site. unless part of a group booking when the balance will be payable 28 days before arrival. 1 Night price is only for a last minute booking OR a midweek booking between Monday to Thursday inclusive. The booking of the Maxi Pod is from 3pm on the day of arrival until 11.30 am on the day of departure. 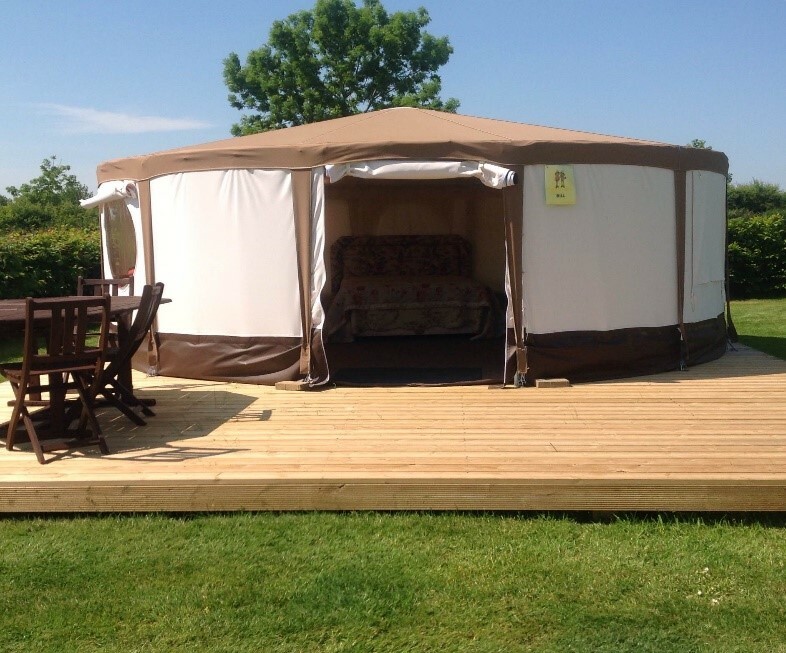 The Glamping ARC is a large watertight tent and will sleep 4/5 persons. The interior contains two double sofa beds, a table and 4 chairs, microwave oven, refrigerator, kettle and toaster. Bedding and crockery/cutlery are not supplied. 1 Night price is applicable for a last minute booking OR a midweek booking Monday to Thursday inclusive. Minimum Weekend booking is normally 2 nights. All Bank Holidays are for a minimum of 3 nights. A non refundable deposit of £ 75 is payable when booking, balance payable on arrival. If part of a Group booking, balance is payable 28 days prior to arrival. The booking of the ARC is from 3pm on the day of arrival until 11.30 am on the day of departure. The Nomadic Yurt is a large circular tent and will sleep 4/6 persons. It is fitted with a double bed, a double sofa bed, a dining table and chairs, refrigerator, microwave oven, kettle and toaster. There is a heater/fan and electric lighting. With regret Pets are not allowed in the Yurts. The booking of the Yurt is from 3pm on the day of arrival until 11.30 am on the day of departure. For bookings of both Yurts for the same dates, the balance will be payable 28 days prior to arrival.